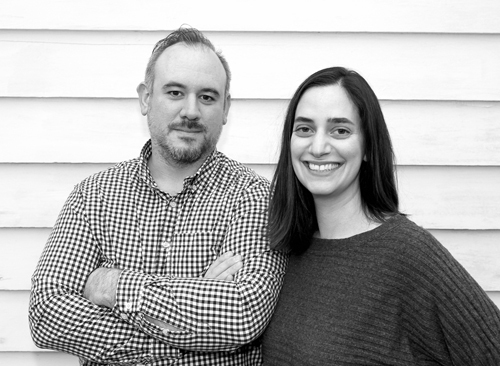 Joanna Ahlberg + Peter Ahlberg are partners at AHL&CO, a design studio and creative consultancy in New York City. Joanna is a writer and editor who oversees the publishing program at The Drawing Center. Peter teaches graphic design at the School of Visual Arts and is the author of Please Make This Look Nice: The Graphic Design Process (Rizzoli, 2016). They live with their two young daughters in a 100-year-old house in Maplewood, New Jersey, where they take joy in all things “home”—vegetable gardening, fermenting, breadmaking, vintage furniture hunting and restoring, and cooking and hosting.